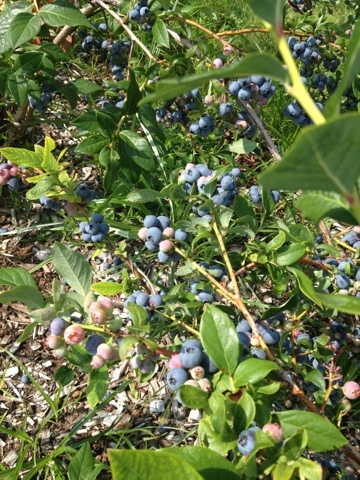 There's nothing like getting out in the hot summer sun to pick your own blueberries. 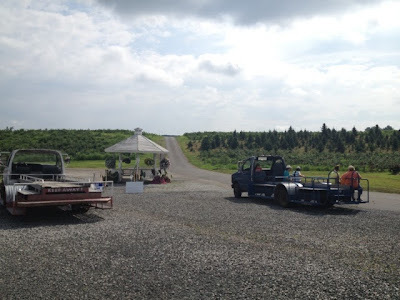 Rose's Berry Farm in South Glastonbury, Connecticut is the perfect place to do it. They have acres and acres of blueberry and raspberry bushes with fruit that's ripe for picking. This place is so big that you have to hop a ride on a truck out to the field. Then, it's time for picking! 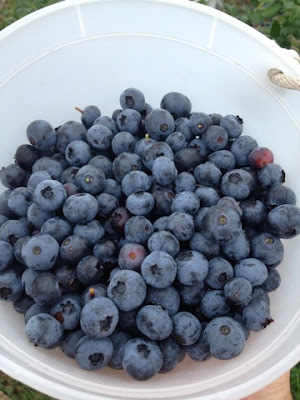 They give everyone a huge bucket, which holds several pounds of blueberries. You'll be assigned a couple of bushes and you can pick as much as you want. 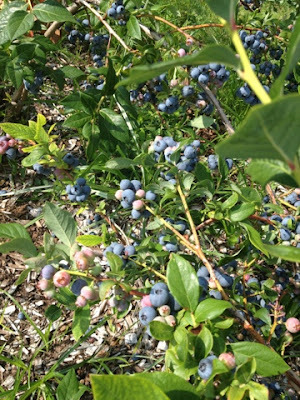 I've been going to Rose's Berry Farm for years and I can tell you that this year's crop is by far the best blueberry crop yet. 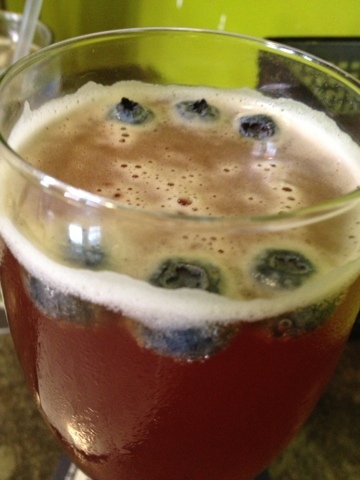 If you've never picked blueberries, give it a try. You'll find they taste way better than any blueberries that have been sitting at your local supermarket. 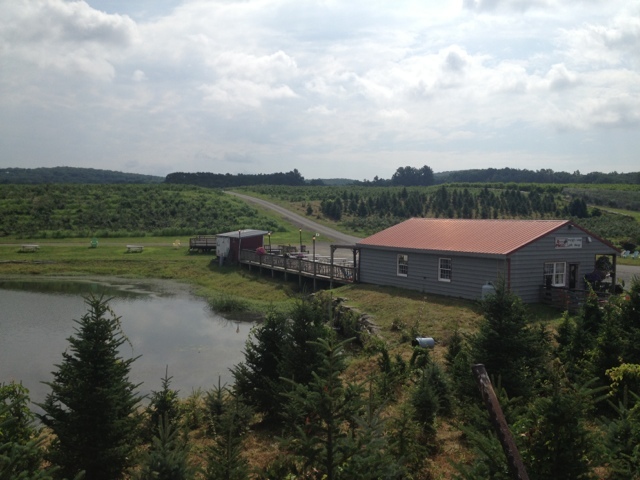 Visit Rose's Berry Farm each season for different crops to pick. In the fall, pick your own apples and pumpkins. When Christmas comes around, cut your own Christmas tree. Rose's is also known for its Breakfast-With-A-View. Every Sunday from June through October, you can eat outside on their patio which has a beautiful view of their lake and property. Choose from Belgian waffles, pancakes or French Toast - all of it topped off whatever fruit is in season. It's Taste of Hartford 2013 aka Hartford's Restaurant week. More than 30 restaurants are taking part, most of them offering three course meals for $20.13. 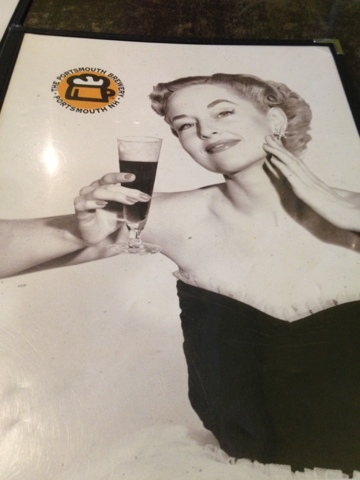 I had the pleasure of going to one of my favorite restaurants for Taste of Hartford, The First & Last Tavern. From pizzas to traditional pasta dishes, this Italian spot does everything right. Course one: salad or soup. I had to go for their salad. It's not the usual boring garden salad. 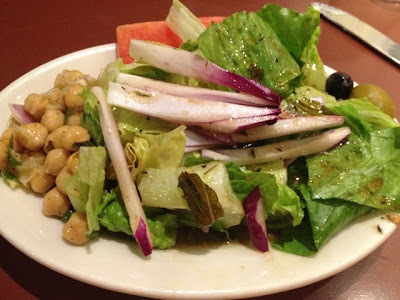 This one comes with chickpeas, olives, onions and don't forget to look for the salami and cheese under the lettuce. Course two: the entree with chicken picatta, oven roasted scrod, summertime primavera or eggplant rollatini. I went for the scrod, a nice buttery portion served with potatoes and spinach with garlic. Course three: dessert. You can choose from gelato, cannoli or New York cheesecake. I can never pass up cheesecake and LOVED the huge slice they presented me with. It was rich and creamy with just enough strawberries and whipped cream. 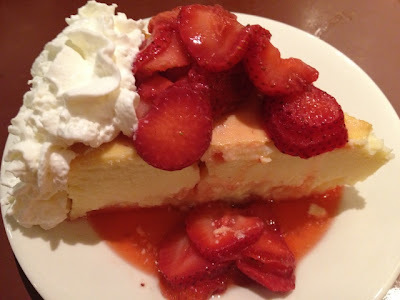 Be sure to try the cheesecake! Beer lovers, do I have a spot for you. The Portsmouth Brewery is one of the most popular restaurants in Portsmouth, New Hampshire because of its selection of handcrafted beers, delicious bar food and fun atmosphere. The restaurant's sister company is Smuttynose Brewing Company, so you can always find their beers on tap along with many other local favorites. The beer selection changes daily, so check out their chalkboards (and website) to see the beers they're offering. I'm a fan of flavored beers and enjoyed their bluebeery blend. Have a seat at The Portsmouth Brewery's bar or dining room for lunch or dinner seven days a week. 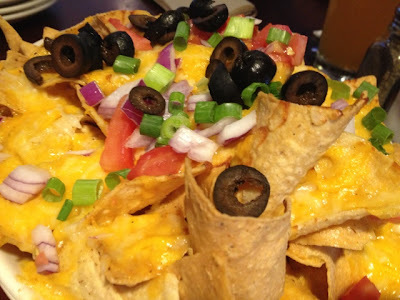 Apps include nachos, chicken tenders, a flatbread of the day, soups and salads. Their chili topped with cheddar cheese is delicious. 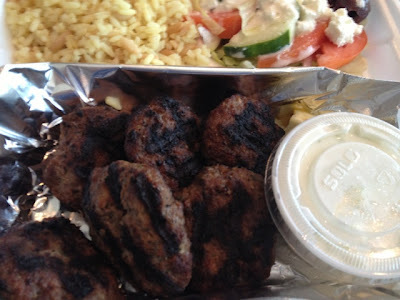 For entrees, order one of their burgers or sandwiches - including the flaky, fresh from the sea fried fish sandwich or go exotic with their southwest chorizo burger. Check out their daily specials like veggie gumbo, steak & lobster, duck and shepard's pie. 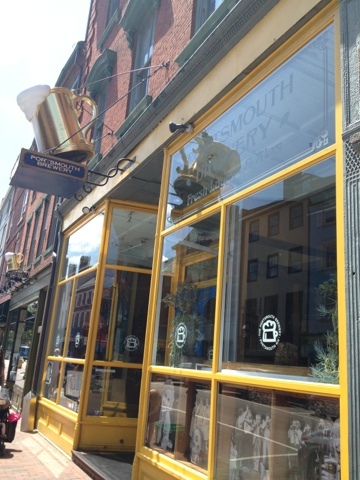 The Portsmouth Brewery is vegetarian and vegan friendly with several unique meat-free options on their menu. They have grilled vegan sausage, a falafel platter and a tempeh reuben on their everyday menu. After dinner, check out their gift shop, where you can buy beer, shirts, shot glasses, hats and more. IT'S THE TASTE OF HARTFORD 2013 IN CONNECTICUT! If you're in Connecticut, save some room for the Taste of Hartford this week. More than 30 restaurants are taking part offering price-fixed menus ranging from $20.13 to $28.13. 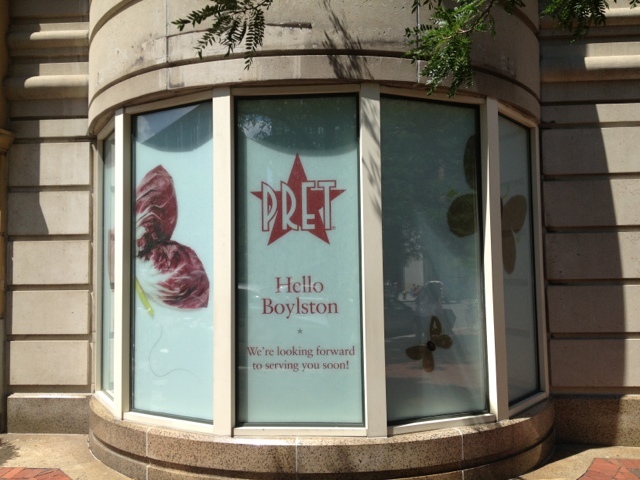 Participating restaurants including Agave Grill, Costa Del Sol, First & Last Tavern and Morton's The Steakhouse. 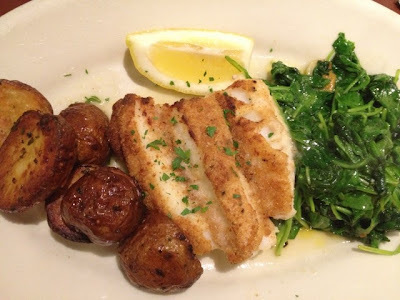 I'll be heading to First & Last Tavern this week for their 3-course menu which includes salad or soup, a choice of entrees including scrod, chicken piccata, summertime primavera and gelato, cheesecake or a cannoli for dessert. 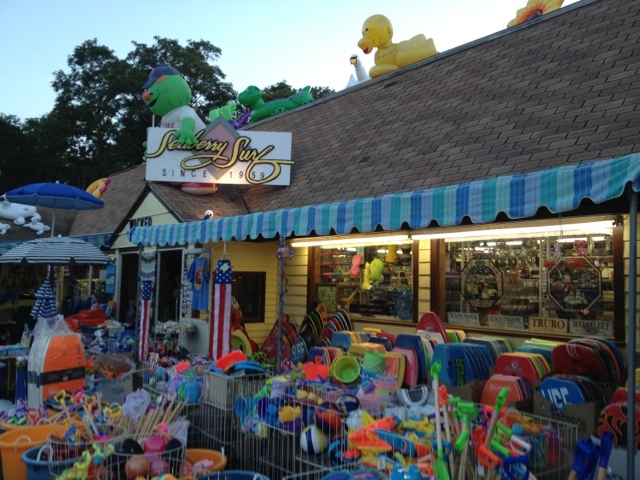 Eat Up New England's Sizzlin' Summer Spots series continues on Cape Cod at the Seaberry Surf gift shop in Wellfleet. This place is famous for its extensive selection of Cape Cod souvenirs, but it's also home to some tasty treats. Check out their selection of taffy. Sure, you can be boring and buy a box that's already been filled, but what's the fun in that? Fill your own box or bag of Cape Cod taffy with the flavors your like. They have so many flavors from blueberry and chocolate to sea salt caramel and peanut butter. Drive up the road a few miles and you'll find Cape Tradewinds in Orleans, Seaberry Surf's sister stop. Tradewinds has its own candy store filled with an even more extensive selection of taffy and homemade fudge. The fudge is really, really good and it comes in so many flavors. One of my favorites is their cranberry walnut fudge. 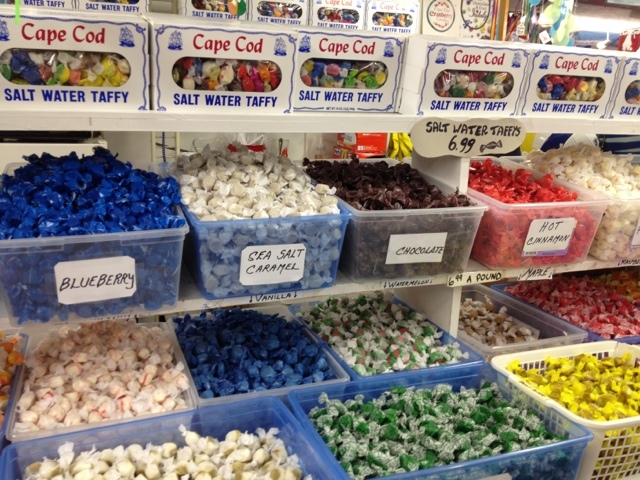 Pick up some Cape Cod taffy and fudge the next time you're on the Cape. It's a great reminder of your vacation when you're back on the mainland! 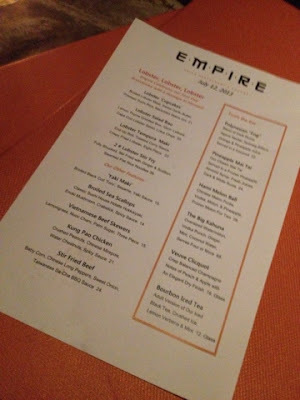 Dining at Empire Restaurant and Lounge for the first time was kind of like going to watch some fireworks on the 4th of July and leaving without a grand finale. It was good, but I was left wanting more. The night started out in the super trendy bar/ lounge area. I had a couple of sangrias, which were very good. We moved to the very spacious main dining area for dinner. The drinks kept coming, with some at our table ordering libations served in a coconut complete with dried ice. Never order a drink that appears to be on fire. They're always overpriced and there's never enough alcohol, as was the case with these $26 drinks. You pay for the presentation. It was time for apps. 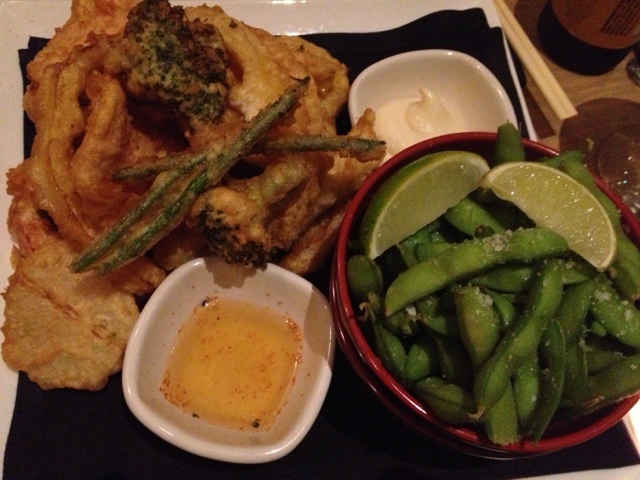 The tempura and edamame was absolutely delicious. These fried veggies were easily my favorite dish of the night. Order them if you go. We also had some crab rangoon to start. They were good, but at 12 for $29, they weren't that good. Very pricey for what we got. I expected a real wow factor for taste and was not wowed. I played it safe and ordered the chicken lo mein for dinner. The heaping portion was served in a bowl and there was plenty left over for lunch the next day. It was good, but again, I wasn't wowed especially with the $21 price. I suspect if I tried the sushi I would have been more excited, but I'm just not a sushi person. It doesn't fill me up. 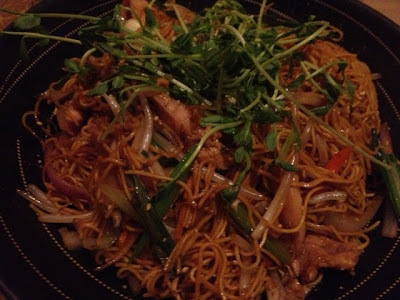 Empire is a favorite for those who must eat gluten free. They have a large menu of GF options. There's even a GF beer called "Omission." Cheers to Empire for having all of these options. 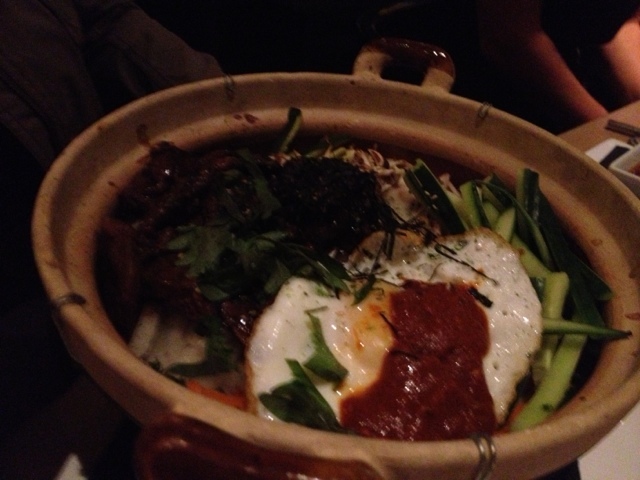 My friend got some crazy GF dish of beef, rice, veggies with an egg on top. She hated it. The staff was kind enough to offer her another dish and never charged her for the bowl. The waitress couldn't have been nicer and the manager even came over to check in. Bottom line: Go to Empire for the social scene that it is. Have a few drinks. Share a few apps. Ask lots of questions before you order and bring your wallet. You can watch the chefs do their thing from the comfort of your table. Empire is right on the water in Boston. 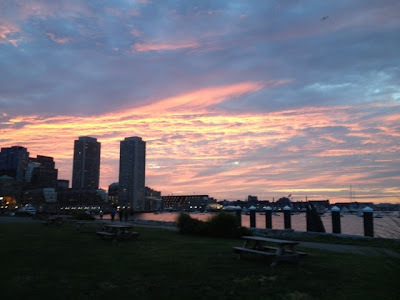 If you arrive around sunset, be sure to walk behind the restaurant for beautiful views of the city. You're also likely to catch a party boat or two out on the water. - Parking is at a premium. If you go for lunch, try to find a meter on the road. If you go for dinner, you'll pay around $16 to park the car for the night. 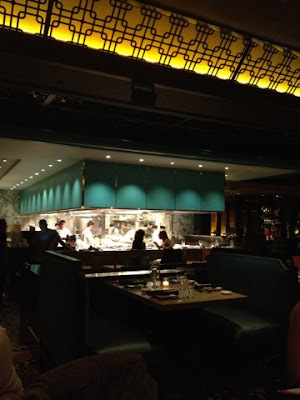 - Take a stroll around the water before you eat. It's not often that you run into an all you can eat pizza buffet, so when you do, sit down and eat like you're never going to eat again. 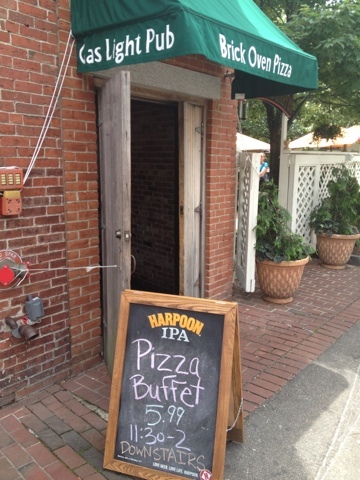 Portmouth Gas Light's Downtown Brick Oven & Pizza Pub is famous for their mouth-watering pizza lunchtime buffet. Located in the basement of the Portsmouth Gas Light Company, this place serves up some delicious bar pizza at a delicious price. Go during lunchtime during the week and you'll find that amazing the pizza buffet. It features every kind of pie you can think of. There are cheese, Mediterranean and veggie pizzas to satisfy picky eaters and vegetarians. But if you're like me, you'll want to dig into some unique combinations of toppings that you won't find anywhere else. If you're lucky, one of the pizzas on the buffet will be their "Molly Malone" topped with potato, onion and bacon. It's incredible. I also enjoyed their pepperoni & hamburger and meatball pizzas. The pizzas rotate in and out, so be quick! The chefs bake them in a huge brick oven right behind the buffet, so feel free to make a request or ask them about any of their creations. 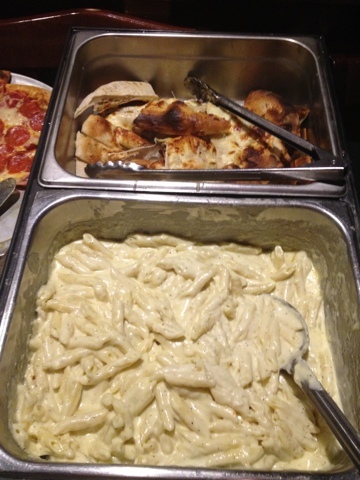 As if the pizza isn't enough, there are also yummy cheese bread sticks and penne with Alfredo sauce on the buffet. 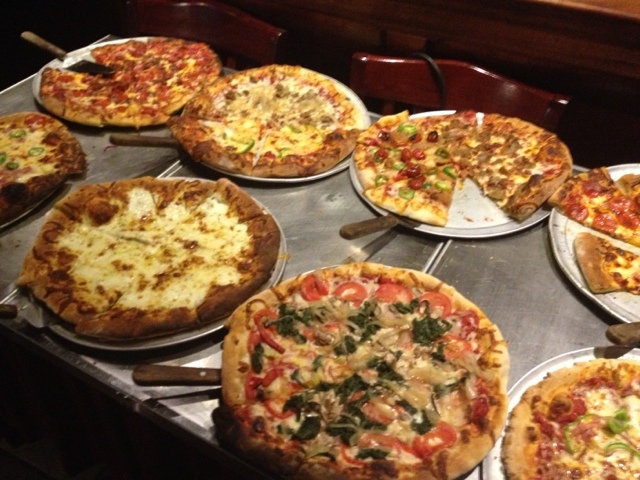 All of this - unlimited slices of pizza - for just $5.99! It gets better. Draft pints of beer are only $2 with the buffet. It just doesn't get any better than that! Pop in to Popovers on the Square in Portsmouth, New Hampshire this summer for this delicious dish. 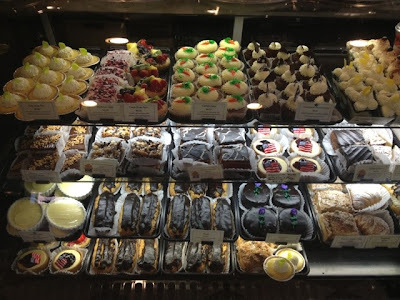 This gem of the Granite State offers up all sorts of tasty baked goods including cheesecakes and cupcakes, but you've got to try one of their popovers (above) when you visit. 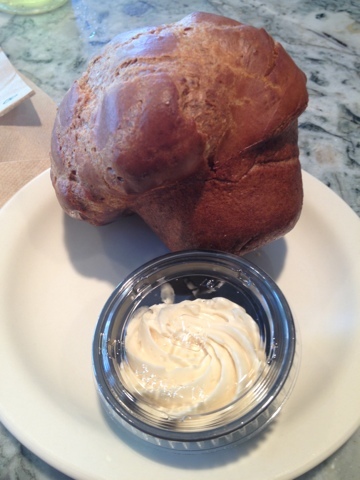 For $3 you get this airy, baked wonder served with some maple butter which just melts away on your popover. They aren't just for breakfast. You can order a popover any time of day. It makes for the perfect mid-afternoon treat. Celebrate the 4th of July at your local Bruegger's Bagels. 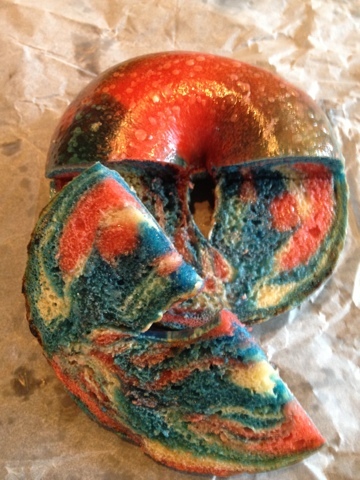 They have special red, white and blue bagels for the Fourth of July today and tomorrow. Have a happy and safe 4th! It's been a great success in Norwood, so it's no surprise that Jake N Joe's has opened a new location in the home of the Patriots, Foxboro, Massachusetts. With sports memorabilia hanging on the walls and countless plasma TV's, Jake N Joe's is the place to be for any sporting event. Jack N Joe's menu is packed with ooey gooey comfort foods. 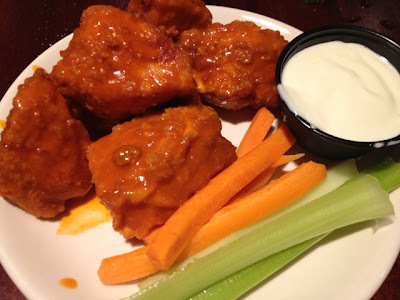 Start out with one of their "kick offs" which include wings with a variety of sauces, quesadillas, nachos (LOVE their ultimate nachos), spring rolls and cheeseburger sliders. 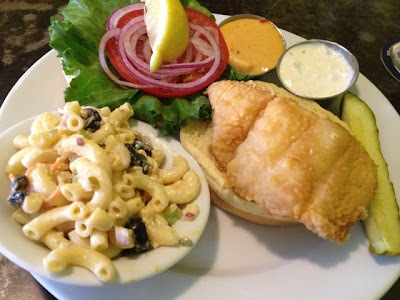 Jake N Joe's has tons of entrees including salads, mac & cheese, ribs, shepard's pie, several fish dishes, sandwiches, pastas and several burger options. I can recommend their mac & cheese and Thanksgiving sandwich, made with turkey, stuffing and cranberry sauce. It wouldn't be a sports bar without a huge selection of drinks. The bars at both Jake N Joe's locations are big, staffed by several bartenders. Enjoy one of their many beers on tap or try one of their custom cocktails. I tried Shock Top raspberry beer at Jack N Joe's for the first time and enjoyed it. If you like flavored beer, give it a go. 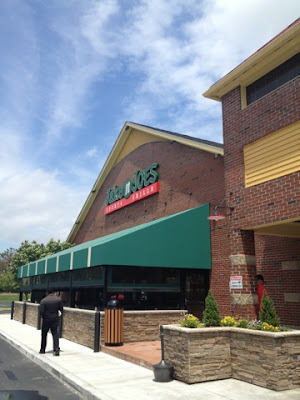 - Get the Jake N Joe's MVP card and get one point for every dollar you spend. You get $10 for every $200 you spend. You also get $15 on your birthday.